A company car and van fleet can seem a weighty expense bearing down on an expanding business. In fact it can provide impetus for your staff and operational efficiency that allows your company to grow. And, if managed properly, it should be a very cost-efficient way of accelerating the growth of your business. So, what sort of fleet would suit your company? Essentially, there are two types: the vehicles that are fundamental for running your type of business and those that enhance employee engagement. Job-need fleets are usually more workmanlike. The vehicles are more prosaic, predicated on fitness-for-purpose and cost. They get your staff to jobs and meetings, carry equipment and products, but probably don’t engender much love or loyalty among the workforce. But you need great people to develop your business and will want to retain cherished staff. That’s why a progressive and appealing company car choice list can actually provide a way of attracting and keeping talent without having to commit to big pay increases or large golden handshakes. The two types of fleet are not mutually exclusive, though. If you set it up properly you can have both. There are plenty of businesses that have both cost-efficient and reliable cars while also offering everything from convertibles and SUVs to sports cars and superminis. A wider choice of models is likely to make employees feel more prized. But if you’re thinking of offering more vehicles onto your choice list, there are a couple of things to bear in mind. Firstly, you could find a big increase in the amount of time it takes to administer the running of your fleet: lots of different suppliers, dealers and servicing agents may have to be set up. You need to factor in issues such as how many dealers they have and how far they are from your workplace. After all, a day spent by an employee getting a car to a servicing centre is a costly and wasteful one. However, a multi-brand solution from one major car manufacturer is a very useful solution, offering the benefits of varying brands within a single framework. 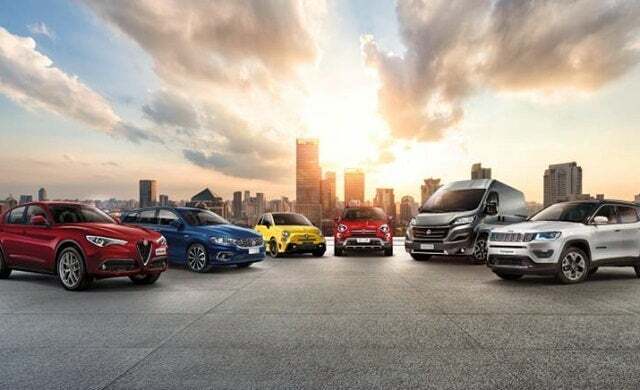 Firms such as FCA (Fiat Chrysler Automobiles) offer everything from cost-effective Fiats and robust Jeeps to practical Fiat Professional vans and stylish Alfa Romeos, and everything in between. A manufacturer like that gives you the benefit of scale, differentiation, fitness for purpose and prestige: a complete fleet solution under one roof. Firstly, you need to set up your scheme, and as with most things in business, cost is the best place to start. If you don’t know what approach to take, the best way is to come up with a predicted total monthly outlay across your workforce and work back from there. Generally, this is easier if you lease as there are easy-to-budget monthly costs inherent in the offering, but this can still be done with outright purchase – it will just take more analysis of the ‘wholelife’ costs throughout the fleet’s working life. There’s always a balance to be struck with a fleet. The HR department will probably want cars that keep employees happy (and certainly ones that keep them safe), while operations will want fitness for purpose, and finance will inevitably look at the bottom line and the potential expense. Choose wisely though, and all departments will be satisfied. As part of the scheme, you will need a driver policy too, which sets out to employees an expected standard of care for the vehicles and behaviour on the road. It can include clear rewards or punishments for adhering, or not, to these standards. If your workers are safe, conscientious drivers who look after their cars, it will save you a lot of time and money in the long run. Why not leave it to your employees? There is of course an argument for washing your hands of the whole issue and leaving it to your employees to use their own cars. But while at a basic level this seems a simple solution, it can prove extremely problematic. For a start, it’s a well-proven fact that employees using their own cars will find it hard to resist topping up their mileage claims wherever possible. So you will have to manage claims carefully to ensure you’re not being ripped off. Then you will also have to ensure their cars are safe for use and insured for business. That requires a paper trail which is kept up to date, because if that vehicle is involved in an accident while its driver was working, the authorities will want to know this was all in place. Worth considering after all these operational concerns is the reputational effect. You’re a growing business looking to make an impact: does turning up at a prospective client in an old banger give the impression of a company worth doing business with? The majority of businesses tend to use contract hire to fund their vehicles, because the benefits are numerous and varied. The leasing company takes the risk on the vehicles so you don’t have to worry about running, servicing and selling the cars, and these depreciating assets are kept off your company’s balance sheet. You could simply go for the firm with the lowest monthly quotes, but in the long run, you should be looking for the supplier who offers a well-rounded package. And find out how they intend to meet, and measure them. Also, ask them what sort of IT capability they have and how their systems will interact with yours and what additional services they offer, such as accident and risk management. Increasingly, leasing companies are also offering outsourced management, which means you don’t have to worry about logistics and administration, either in taxing and repairing vehicles, and in ensuring your employees are fit to drive with up-to-date licences. Almost all contract hire deals include service and maintenance in the costs, so that side of running the cars should be taken care of for you too, and because of leasing companies’ scale, at lower prices than you might be able to negotiate. If you choose to buy the vehicles yourself, a wholelife cost analysis is the only accurate way of assessing the financial impact of running them. The manufacturer should be able to help you with some of this information, and there are companies in the market who specialise in providing these figures. When purchasing a fleet yourself, the more makes and models you can offer, the more you spread your residual value risk – although you have to balance this against the fact you may get smaller discounts because the volumes through each brand are commensurately smaller. That said, if a certain part of the market or a brand suffers falls in depreciation, you are less exposed by having a wide selection of MPVs, SUVs, hatchbacks and so on. When building your fleet, it’s worth keeping these three C’s in mind, and you won’t go far wrong. Cost is king – it allows you financial flexibility and makes the fleet work for, rather than against, your business. But the right choice of vehicles is essential too, to perform the role you need them too. And finally consistency: get procurement, choice list, driver policy and running in place and well structured so that you know exactly what you are getting for your investment and how it all works in practice. A company car fleet should benefit your business, not be a burden. Or call our dedicated business centre on 0808 168 4089.